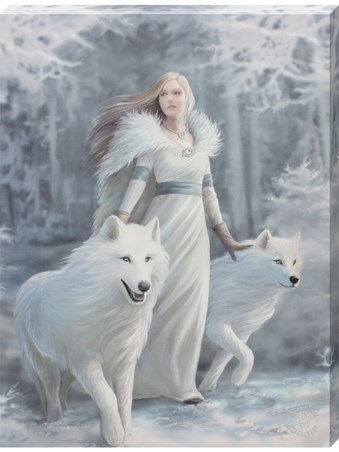 Fantasy Art Canvas Print: Dip your toes into the magical world, created by the renowned fantasy artist - Anne Stokes. 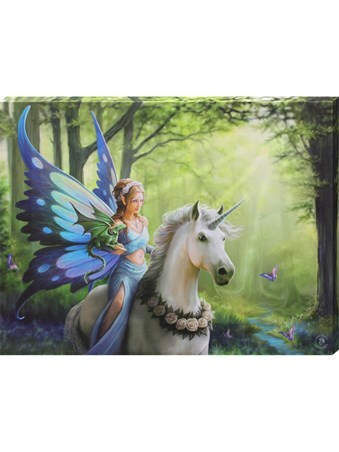 Take a stroll through the enchanted forest as lilac butterflies flitter around your feet and a small stream's trickle soothes the ear. 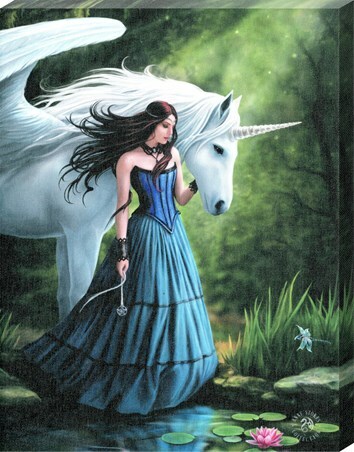 This is the incredible scene that Anne Stokes has artfully created alongside a majestic white Unicorn wearing a floral neck collar. 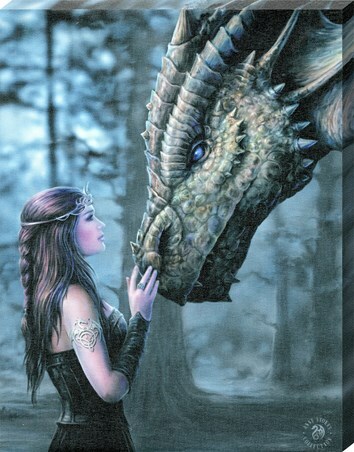 Alongside him on his journey is a beautiful fairy with cyan wings whilst a small green dragon perches on her arm. If you are a fan of all things weird and wonderful, this is a must! 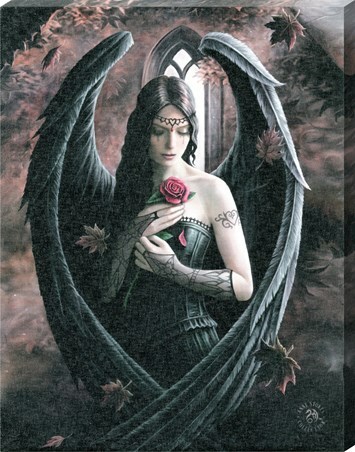 High quality, framed Realm Of Enchantment, Anne Stokes canvas print with a bespoke frame by our custom framing service.